FermFast Whiskey Turbo Yeast - Texas Brewing Inc.
be used with sugar solutions without separate nutrient addition. 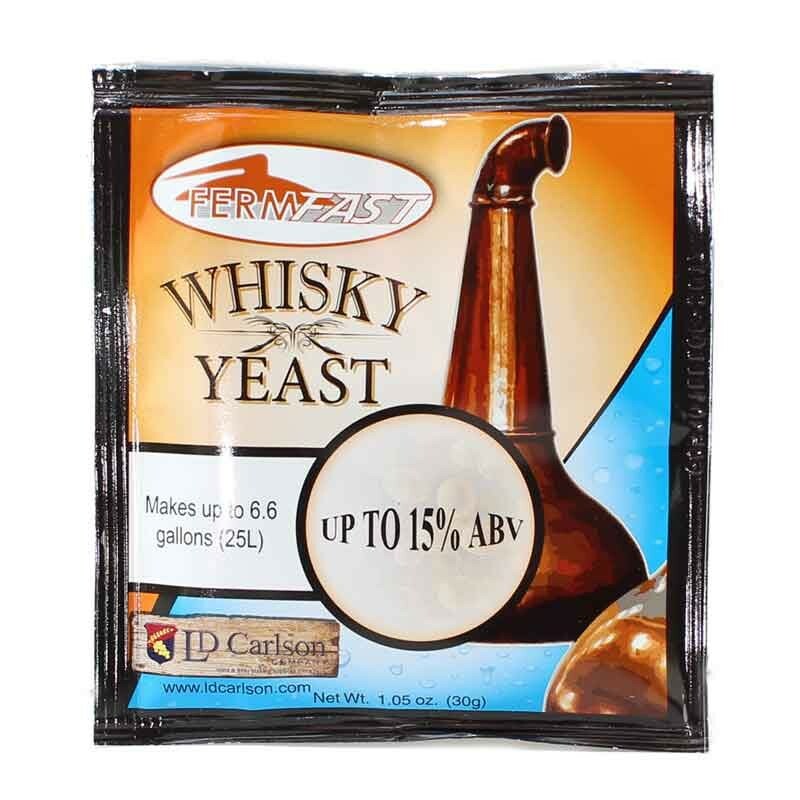 Whisky Distiller’s Yeast – Makes up to 6 G allons Declared Pack Weight: 30g e BBE: 24 Months Ingredient Declarations: Yeast, glucoamylase enzyme. Allergen Declarations: None Directions: Once mash or wort is prepared, allow to cool to 89°F (32°C). Add Whisky Yeast sachet contents and stir well. Secure lid firmly onto fermenter, attach airlock and leave to ferment between 70-89°F (20-32°C). Complete fermentation times are dependent on temperature. Please note: all grains must be fully enzymatically converted to dextrins by mashing with alpha-amylase before use. Application: Used to ferment mashed grains or malt extract worts up to a maximum of 15% ABV. Cannot be used with sugar solutions without separate nutrient addition. This product contains glucoamylase for the conversion of dextrins to fermentable sugars.